In this java tutorial, we are going to learn about 'break' statement. How and when a break statement is used, we will learn using example here? break statement is used to break the execution of any loop or to break (come out from particular case body) the switch cases in switch statement. 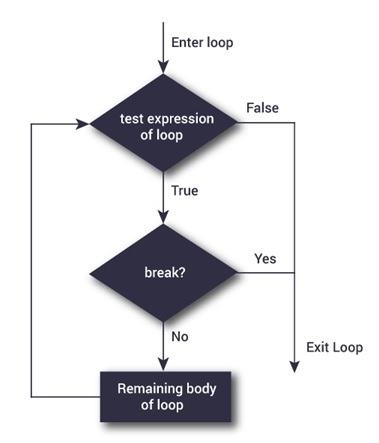 break statement interrupts the flow of loop at certain conditions, in case of multiple loops, break statement only break that loop in which break is used. The syntax is a simple break keyword, used within the loop body or after the switch case statements. In this program, the loop is running from 1 to 12 and we are using break inside the if condition (i==8). So, when value of i will be 8, loop execution will be stopped and program’s execution will jump to the next statement written just after the loop body.